We ring the doorbell at a nondescript door and are looked at through a security camera. After this screening, the door opens and we are welcomed in. Bonu, our translator, talks to someone and tells them that we’re here to have an interview with Andre, the bar owner. The interview begins, and everyone is clearly nervous. We didn’t know the extent of the law or if anything bad could happen. In the interview, the question of if he had been threatened with violence or threatened to be shut down, he replies, “Absolutely not. People misinterpret the law and have blown it out of proportion.” He says that Sochi is so different from all of the rest of Russia as well, because A. It’s a tropical region and B. It’s a big city. This put us a little more at ease. After about a 30 minute interview, we were told we could only take pictures of him, the performance and those that work there. He then showed us through the bar to the back where the drag queens were getting ready. Ryan opens the door and walks in. He is quickly shooed out by a news crew. There last night apparently was The Associated Press as well as BBC. It’s was a cramped little area, sort of like a narrow hallway with mirrors. When we finally entered, we stopped to talk to a drag queen dressed like Liza Minelli. Her name was Miss Zhuozha, and she had been in the army before falling in love with a man. Note that is not me in the mirror! Other drag queens were getting ready, one in only fishnets and a t-shirt. Smoking a cigarette, she looked at me so suspiciously and almost annoyed that yet another photographer was allowed in. She went about her business and we soon had to leave for the show to get started. We stepped out to the main stage and quickly had to find a seat. A video begins to play on large screen on stage. The video is of a little girl holding holding a heart balloon and singing the Russian national anthem. She starts singing and the bar starts singing right along with her. Something that brought tears to my eyes and chills to my spine. Throughout the course of the song she was shown in a big stadium with rainbow flags all around. It was a very moving video. Soon a drag queen then comes out on stage. She is dressed in tons of pink feathers. She starts lip syncing to “I Will Survive.” There was something different that I noticed right away between American drag shows and Russian ones. TIPS. It’s common in American gay bars to run up during their performances and give them money, mostly singles. 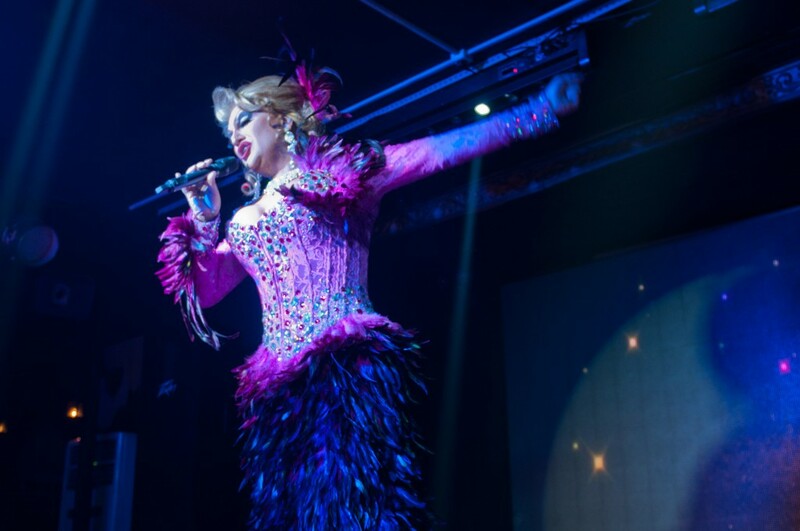 In Russian drag shows, everyone pretty much just stays seated and may or may not sing along and dance in their seats. After the first queen performed, she started talking and reading people in Russian. “Because reading is what?! FUN-DE-MENTAL” She walks over to where I am knelt on the side of the stage. She tells the bar that I am one of her friends. I stand up and say hello and she asks how I am doing. I say “Fine” She then puts a hand on my CROTCH! I was kind of in shock but just went a long with it. 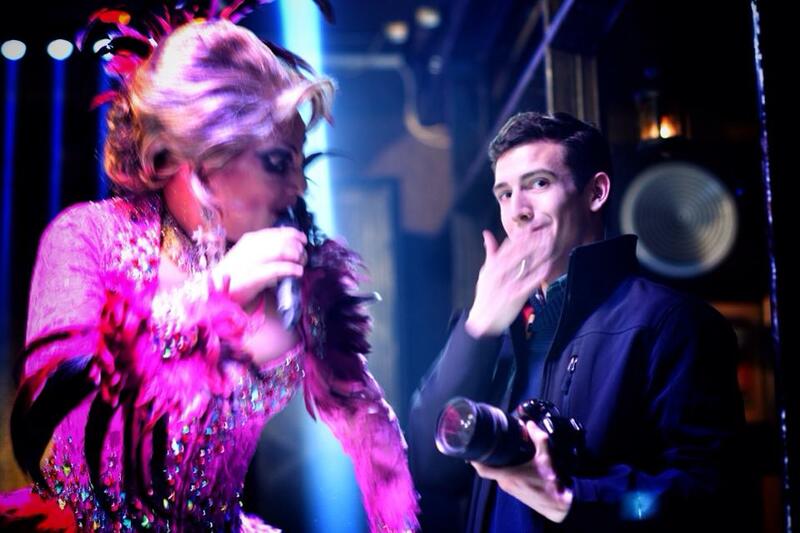 That’s just something you do during a drag show. It just caught me off guard and plus I don’t speak Russian so I had no idea what she was saying. The second queen came on soon after that and performed. Shortly after her performance we decided to leave since it was quite late. We were on quite a high leaving the bar we came back and immediately got to work! We just pitched the story to the Advocate and the photos following! Спасибо за чтение. Thank you for reading!